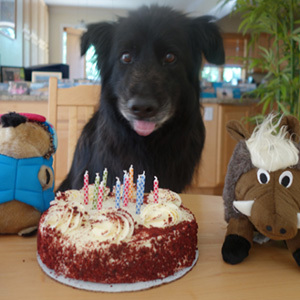 Welcome to our CEO's page that is all about kids having fun and doing activities that center around Humane Education. 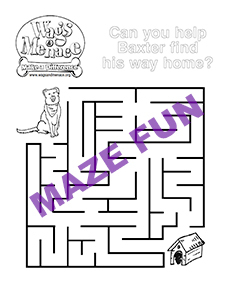 Baxter has provided you and your kids with some fun activities that you can do with your kids. 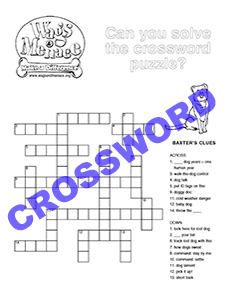 Below you will find fun activities and games that can be downloaded and printed out for you to enjoy. 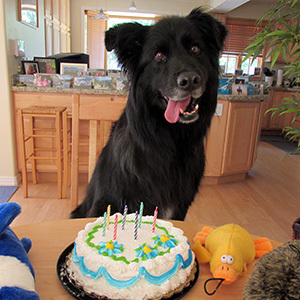 Baxter, a rescued Newfoundland/Border Collie mix, took the lead at the Wags and Menace Make a Difference Foundation in 2006, continuing the legacy established by founding dogs Wags and Menace. 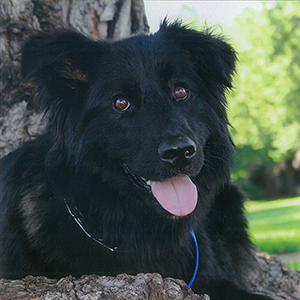 Malnourished and abused when adopted, he quickly recovered and blossomed under Cindy Lee’s care. 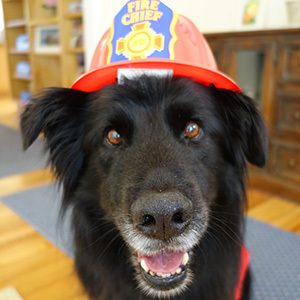 Now that he is legally the CEO of the Foundation, Baxter is eager to be a part of the Foundation’s education program, helping children and adults gain empathy for animals. 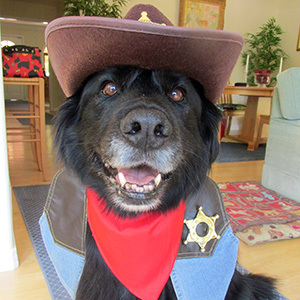 He also wants to pay his good fortune forward and urges other humans to adopt rescues from a shelter or donate to the Wags and Menace Make a Difference Foundation. 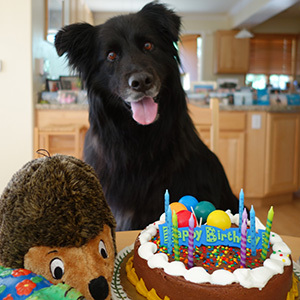 Click through the gallery of Baxter to the right to see lots of fun photos of his activities and adventures to help the animals in need throughout the years. In 2019, Baxter Lee, CEO, and Cindy Lee, President of the Wags and Menace Make a Difference Foundation, decided that after seven years of mentoring Taylor Eubanks, the foundation would show their appreciation by awarding Taylor with a very special "Wags and Menace Make a Difference Scholarship". Taylor has been actively involved at a volunteer level with the foundation for many years. 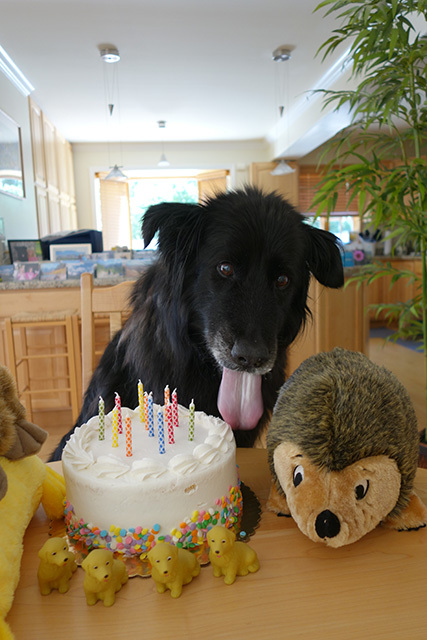 During this time, Baxter tasked Cindy Lee, President of the foundation, the responsibility of mentoring Taylor in the many areas of humane education, animal welfare studies, grassroots efforts and advocacy. 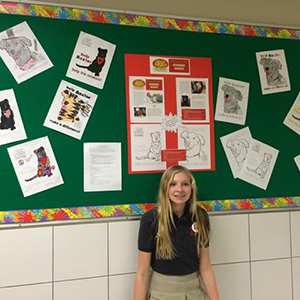 Taylor has accomplished amazing things while volunteering with, and for the foundation, leading grassroots initiatives like “Color with Baxter Contest” where she received the “Silver” award from the Girl Scouts. You can read more about this contest further down on this page. She also led many blanket donation drives within her community over the years as well. These donations have allowed so many animals in need at various shelters to have a warm comfy blanket to snuggle down in while awaiting their forever home family to rescue them. This very special scholarship that Baxter Lee, CEO, and Cindy Lee, President of the Wags and Menace Make a Difference Foundation felt was so deserved, will help Taylor with many of her scholastic needs as she prepares to further her education at the college level. The foundation has seen Taylor truly grow from a passionate child wanting to make a difference in the world when it comes to humane education and ethical treatment of animals. Into an aspiring young adult beginning new chapters of her life as she readies herself for college. Baxter and Cindy could not be prouder of the seven years Taylor has volunteered with the foundation. Castle Pines seventh grader, Taylor Eubanks has Girl Scouts in her blood. Both her mom and her grandmother were avid Girl Scouts, and Taylor is continued the tradition by earning her “Silver” award, the highest Girl Scout award given to a middle school student as part of the requirements for the award, Taylor coordinated a grassroots level art contest designed to foster creativity while also spreading awareness to benefit animals in need. 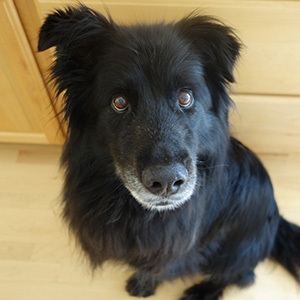 The gallery of images to the right are from this amazing grassroots contest Taylor put together for the Wags and Menace Make a Difference Foundation. Taylor's coloring contest was also featured on the Castle Pines Connection website highlighting her efforts. Click on the thumbnail image below to download the PDF of the article that was posted on the website for a period of time. 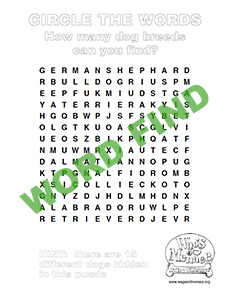 Click on any of the fun activities below to download, print from your home computer, and complete. 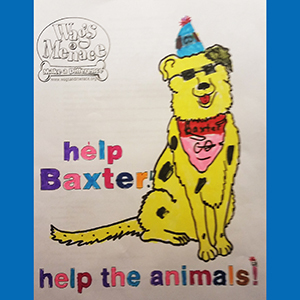 Send Baxter your artwork and a letter! 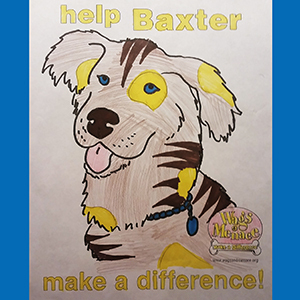 You can color the pictures from Baxter's Backyard and send them to him with a letter about how you are making a difference. 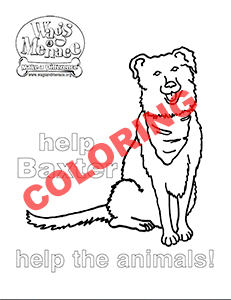 You can do this by placing your colored artwork from Baxter's Backyard or any artwork you have colored for Baxter in an envelope and mailing them to the address below. 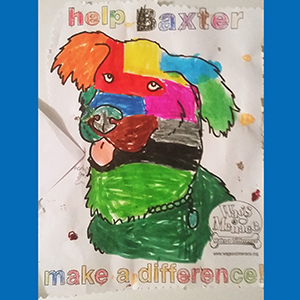 Baxter would love to see your creativity and learn how you can help his animal friends.